ONE. 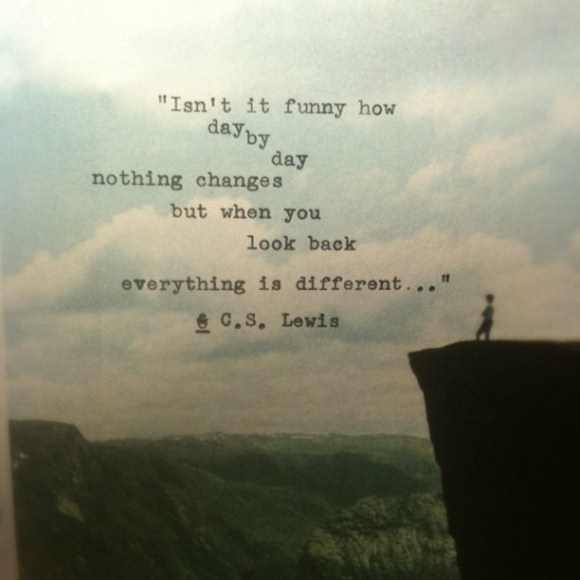 Isn't this the truth? TWO. If you follow me on Instagram (@TracyZLesh) you've already seen this... but I just love it. TL's good friend's dad passed away a couple years ago and this is a little memorial to him in Pacific Grove. He lived there with his wife and we stopped in to see her while we made a quick visit to Monterey and she told us about this. He always used to say "Thank you, life, for this moment. I love it." I am in love with that saying and am going to steal it. What an amazing man he was! I feel fortunate that I had the opportunity to meet him. THREE. Andie is full of smiles these days... and I can't get enough of it! 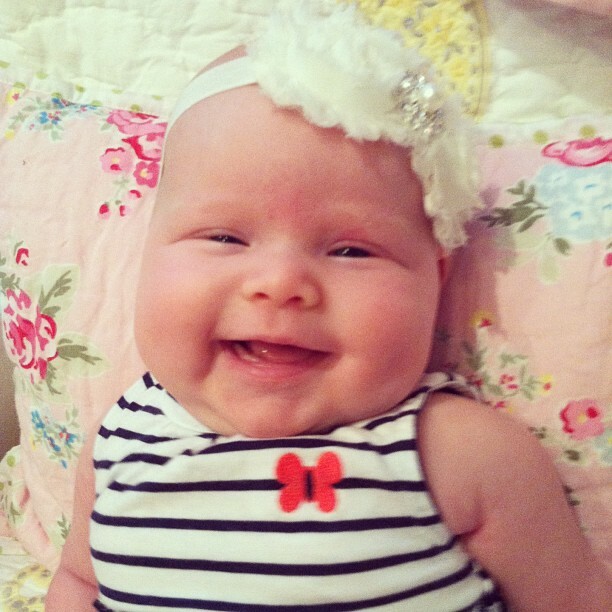 This girl had her two month appointment (& shots... eeeeek!!!) on July 15th. She is 10 pounds 8 ounces and 22 inches long. A growing girl. I am so proud! FOUR. I downloaded a new iPhone app called "Ounces" to help me keep track of how much water I drink. Since Andie was born, I have been feeling a little off... kind of like I am on a boat and occasionally light headed. I definitely think it has to do with the fact that I just wasn't downing enough water. I read online that it's recommended that we drink 80 ounces a day. So that's the goal. I started yesterday, we will see how this goes. 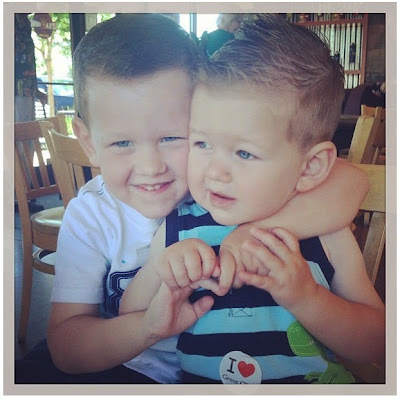 I cannot believe how much your nephews have grown, I remember their baby photos LOL!! They are so cute!!! I am going to check out the ounces app for sure. I love the bench, there are lots of those which I live, around the woods etc and I always love reading them. I get lightheaded A LOT!! Not to mention dizzy with a blacked out feeling even from standing from a seated position, so even though I drink about a gallon of water a day, it doesn't help (toward that). I take Vitamin D3 soft gels (currently 10,000 iu's) and it makes a WORLD of difference. When I forget a day, I'm dizzy and lightheaded and quickly go to take some. I highly recommend it. That bench is such a sweet, sweet remembrance. Thanks for linking up with us! That is such a precious photo of Andie! SUPER cute. How sweet are her smiles!?! Such a lovely memorial tribute -- and a great quote. Wonderful reminder for all of us. 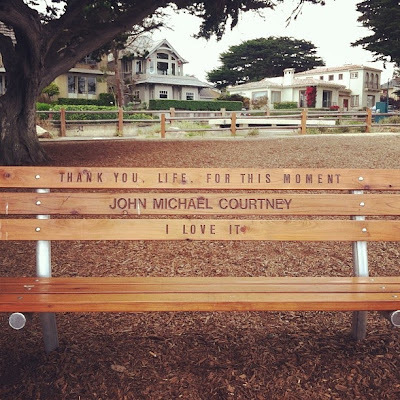 That memorial bench is too sweet!